Are you ready to create an impact at your next event? Engage, connect and create memorable moments! Virtual sport experiences, interactive games and good old fashioned fun. The SportSim products are a perfect fit anywhere you`re looking to create memorable moments. Relevant to a broad audience - no barriers to participation. An expert SportSim staff member will be there to answer all your questions and even provide you some tips! 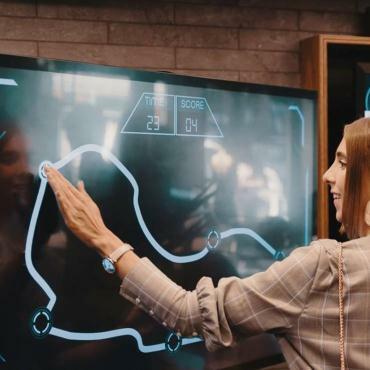 SportSim`s multi-sport simulators combine world-leading technology with interactive gameplay to deliver the ultimate entertainment experience. 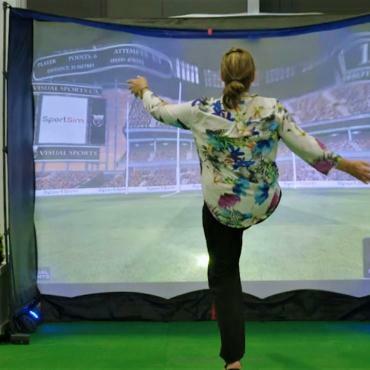 SportSim`s range of interactive Reaction Wall products provide a true test of reaction speed and agility. 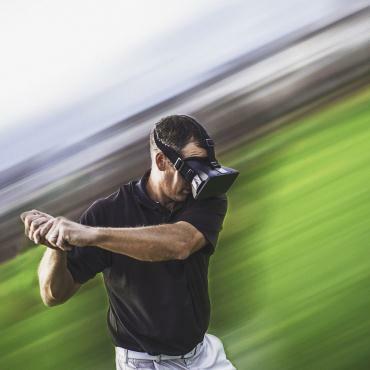 SportSim Virtual Reality provides an immersive experience for your event patrons, with a range of sports experiences available.